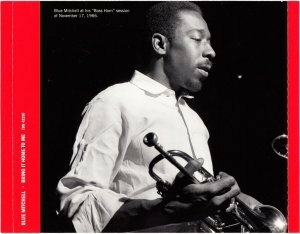 Features the high-fidelity SHM-CD format (compatible with standard CD player) and 24 bit remastering. Genius work from trumpeter Blue Mitchell – one of his most solid sides as a leader from the 60s, and a well-deserved treasure in the Blue Note catalog! 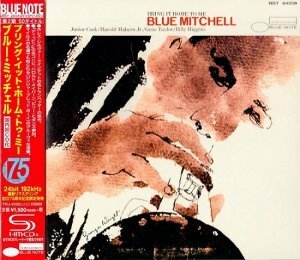 The album's quite different than the straight soul jazz of Blue's early days on Riverside – or the more arranged dates of the late 60s – and it features him moving in a soulful, lyrical, modal style – quite similar to Horace Silver in conception, but with a fresh execution that's mighty nice – and which marks Mitchell as one of the fresher trumpet voices of his generation! 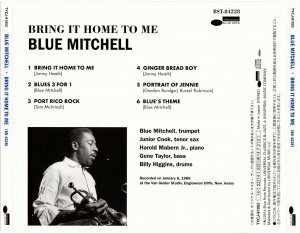 The whole group's great, too – and the lineup includes Junior Cook on tenor, Blue's old bandmate from Horace Silver's group – plus Harold Mabern on piano, who really helps shape the sound of the record, Gene Taylor on bass and Billy Higgins on drums. 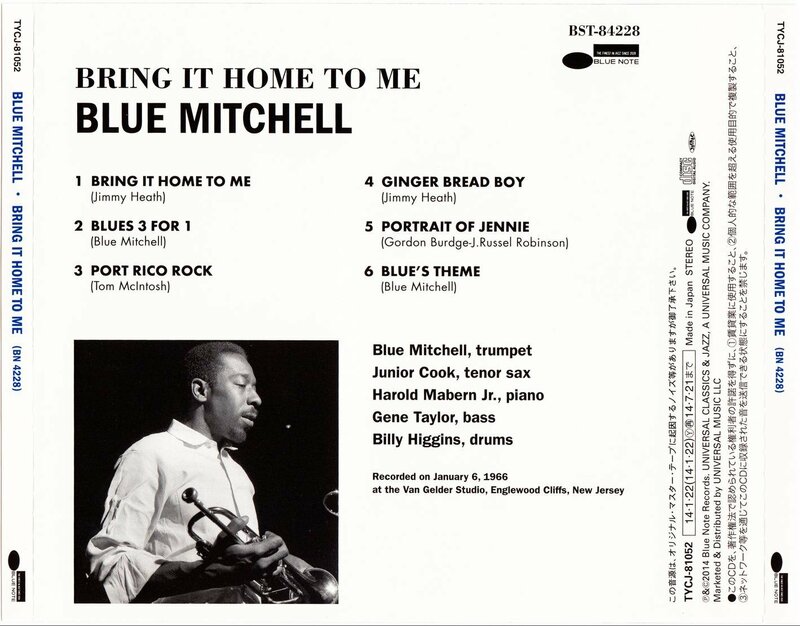 Tracks include gems from Mitchell, Jimmy Heath, and Tom McIntosh – titles that include "Bring It Home To Me", "Blues 3 For 1", "Port Rico Rock", and "Ginger Bread Boy".